Overview: U.S. Cellular (888-944-9400) is the largest regional operator and the the fifth largest mobile network operator in the US. U.S. Cellular operates in California, Illinois, Indiana, Iowa, Kansas, Maine, Maryland, Minnesota, Missouri, Nebraska, New Hampshire, North Carolina, Oklahoma, Oregon, Pennsylvania, South Carolina, Tennessee, Texas, Vermont, Virginia, Washington, West Virginia, and Wisconsin. 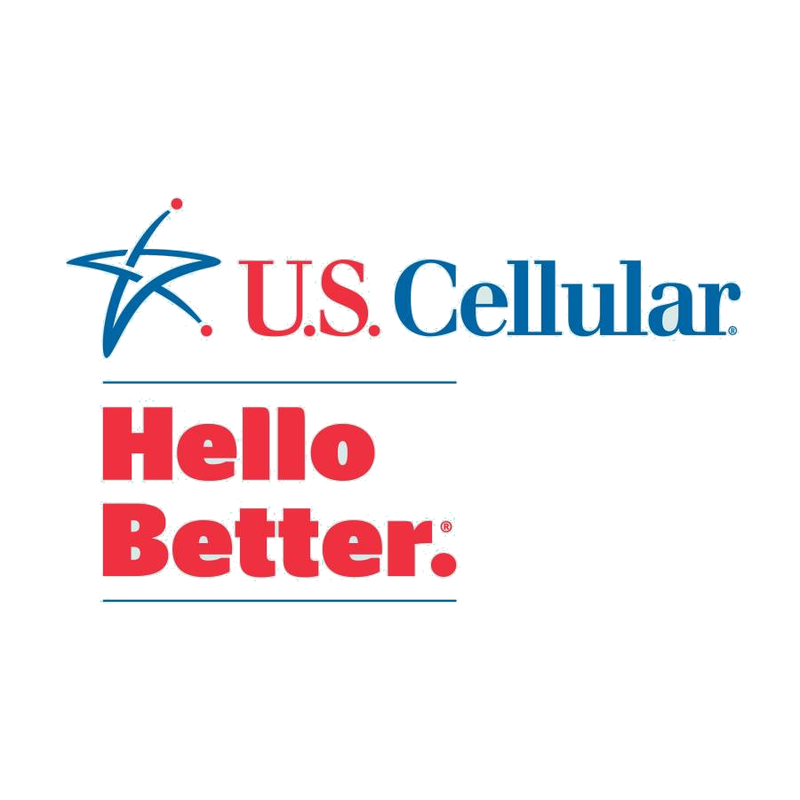 At the end of the 1st quarter of 2015, U.S. Cellular had 4.67 million subscribers including 360,000 prepaid subscribers. Technology: CDMA on the 850 and 1900 Mhz bands with 1xRTT and EV-DO data support. 4G LTE on the 700 Mhz band 12. LTE data is available to prepaid customers on plans priced at $50 and higher. U.S. Cellular also offers the Ready Connect brand, which is available from multiple national retailers including Walmart, Dollar General, and Amazon.com. Ready Connect plans are identical to Simple Connect plans except that Ready Connect customers get a $5 per month discount for using autopay. Ready Connect handset selection is limited to a handful of lower end models. For more about Ready Connect see the Ready Connect site. Taxes and Fees: Applicable state, county and local taxes apply, and they vary by state. International Rates: All U.S. Cellular plans include unlimited intenational SMS. Unlimited calling to Mexico and Canada can be added to any plan for $10 per month. Otherwise, U.S. Cellular rates for international calling are very high; sample rates per minute: Canada 44¢, Mexico 52¢, India $3.15, Philippines $2.25, U.K. $1.62. A $3.99 International add on is available that reduces rates to: Canada 8¢, Mexico 16¢, India 27¢, Philippines 19¢, U.K. 20¢. Domestic Roaming: U.S. Cellular plans include no extra charge nationwide voice, SMS and 2G data roaming. Data roaming is capped at 200 MB/month. Customers whose roaming minutes exceed 50% of their total minutes in three consecutive months are subject to termination. Coverage: (map) U.S. Cellular has native coverage in portions of California, Illinois, Indiana, Iowa, Kansas, Maine, Maryland, Minnesota, Missouri, Nebraska, New Hampshire, North Carolina, Oklahoma, Oregon, Pennsylvania, South Carolina, Tennessee, Texas, Vermont, Virginia, Washington, West Virginia, and Wisconsin. There's nationwide roaming on Verizon and other CDMA operators. Devices U.S. Cellular offers a selection of prepaid feature phones and smartphones including current flagships like the iPhone 5S and Samsung Galaxy S4. How to Activate: Activate by calling 888-944-9400. You can port in a number from another carrier during activation. Activation is free. Payment Options: U.S. Cellular stores (store locator) accept cash payments. Users can pay by credit or debit card at a store or by dialing #ADD (#233) from their U.S. Cellular phone or 888-944-9400 from another phone. Automatic Refills: Automatic refills using a credit or debit card are available. Customers can choose to automatically add a specific amount each month or when their balance falls below $10. Set up automatic refills by calling 611 from your U.S. Cellular phone or 888-944-9400 from another phone. Call waiting: Call waiting is enabled by default. It lets you place one call on hold while you take another call. When you are on a call and have another incoming call, you will hear a short tone. You'll have approximately 30 seconds to answer before the second caller hears a standard message or is forwarded to voicemail. Unless you are on an unlimited plan, you will be charged for both calls. The preferred roaming list (PRL) controls which towers your phone can use. If you have no service in areas where you think you should, updating your PRL may help: Dial *228, to update the PRL. U.S. Cellular Pros: No extra cost voice and text roaming, LTE and high end smartphones available. Free incoming texts. Top rated US based customer support. U.S. Cellular Cons: Activation fees. no call forwarding, pricey pay as you go plan, high rates for international calls, limited account management options. lls below $10. Set up automatic refills by calling 611 from your U.S. Cellular phone or 888-944-9400 from another phone. U.S. Cellular Cons: No call forwarding, high rates for international calls, limited account management options. Throttled speed varies with operator but it's never more than 256 Kbps. U.S. Cellular's is slower than most, 60-144 Kbps. US Cellular put some of its troubles behind it, and actually grew in 2014 (first growth year since 2009). They added 98000 subscribers in Q4 and ended with 4.76M. US Cellular - In-store ONLY (corporate/agent locations) $50 CREDIT for buying a US Cellular Phone and activating it on a Simple Connect Prepaid Plan. The credit can be used to purchase accessories or pay a monthly bill. Promo expected to last through July 15th. Also I beleive you can now activate any US Celluar no-contract phones 3G/4G LTE on the Ready Connect brand, no longer just the handful of lower-end models sold from multiple national retailers. U.S. Cellular® Network; $45 Smartphone Plan- Unlimited Talk & Text with 3 GB of Data; $55 Smartphone Plan - Unlimited Talk & Text with 4 GB of Data. The $40 Smartphone Plan has been discontinued. New US Cellular Ready Connect Plan - $40 Smartphone Plan Unlimited Talk & Text with 1.5 GB Data. US Cellular Ready Connect Plans completely revamped, some (3) with Auto Pay Discount. These US Cellular plans are out of date. New $60/month plan is unlimited high speed. $50 plan with 6GB HS, and $40 plan with 2GB HS, no extra fees. The $60 plan includes hotspot and standard video streaming res. 4 lines on $60 plan cost $160, $80 discount/month. Are you sure the plans you mentioned are prepaid? The plans shown on Prepaid No Contract Cell Phone Plans | U.S. Cellular match this post. US Cellular just announced an Unlimited plan for prepaid users. $70/month, including standard definition video. US Cellular Has added a Gig to the $45 Ready Connect Prepaid/ Simple Connect Prepaid Plans. They now have 6GB each.